Lancaster, California, produces more solar power per capita than any other city in the state. Devastated by the recession of 2009, when unemployment rose to 17%, the city has made its commitment to solar the basis of its economic rebirth. Today it is home to the BYD truck and bus factory, which just finished an expansion that tripled its original size. Lancaster mayor Rex Parris calls his city “the solar capital of the universe.” Described by some as “an arrogant bully and an unstoppable control freak,” the three-term Republican has been an unflagging champion of solar power. “Had it not been for his leadership, we would not be on this journey,” said Lancaster city manager Mark Bozigian. SolarCity, the company started by Elon Musk’s cousins and which was subsequently purchased by Tesla, has partnered with Lancaster to install rooftop solar systems on virtually all municipal buildings and schools in the city. Lancaster also changed its building code to require that new homes include rooftop solar, the first city in America to take that bold step. 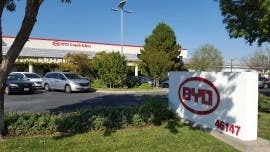 Not only is BYD the largest employer in the city, it also partnered with KB Home to build affordable homes that feature solar panels, battery storage, and LED lighting. The permitting process for rooftop solar systems can be lengthy with lots of delays built in. Not in Lancaster. Today, approvals take about 15 minutes. “It’s so business friendly here, it’s not even funny,” says Jim Cahill, a vice president at SolarCity. The city made a decision to buy its electricity from solar power plants built within the city itself. That not only provides jobs for local workers, it also lowers the cost of electricity for city residents. That initiative has been so successful, Lancaster is helping other Southern California cities set up similar programs. Now Mayor Parris has his sights on creating a regional market for locally produced solar power. Together with several surrounding communities, Lancaster is planning to build a transmission like to deliver clean energy to Los Angeles. Parris may be unusual for someone who calls himself a Republican, but he is not alone. Halfway across the country, Georgetown, Texas, is committed to being a city that runs entirely on renewable energy. 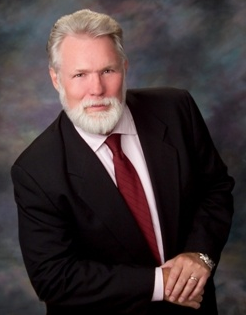 Republican mayor Dale Ross says it’s not about ideology or politics. Ross, who is a trained CPA, says it’s about dollars and cents. “The revolution is here,” he says. “And I’m a good little Republican, a right-wing fiscal conservative, but when it comes to making decisions based on facts, that’s what we do. How is anybody going to compete with wind and solar?” he asks. When the city started considering its options for long-term electricity in 2015, coal was simply too expensive and natural gas providers were only willing to lock in prices for 7 years. Wind farm suppliers, though, were willing to make a 25 year commitment. Now city residents pay about 25% less for their electricity than they did before.